If you are considering installing a New Lawn Sprinkler System, CMG can help. We have been installing Sprinkler Systems since 1993. Our sprinkler systems have in-line drains. This ensures that the pipes will never freeze regardless of the temperature and the sprinkler system need never be Winterized. For Central Oklahoma Residents who already have a Sprinkler System, I recommend a RAIN/FREEZ SENSOR. This is a great way to ensure that the sprinkler system gets truned off when there is no one available to turn it off. If you are away on vacation for example, the RAIN/FREEZE SENSOR will turn off the sprinkler system after a heavy thunderstorm when it is too wet to water. The RAIN/FREEZE SENSOR will turn the sprinkler system back on when it is dry enough to water again. It will do the same thing for your sprinkler system it it gets too cold or starts to snow. 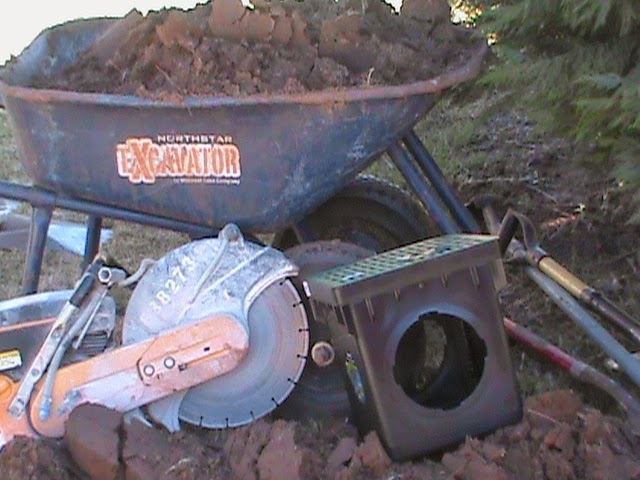 CMG Sprinklers and Drains – also specializes in Sprinkler Repair. 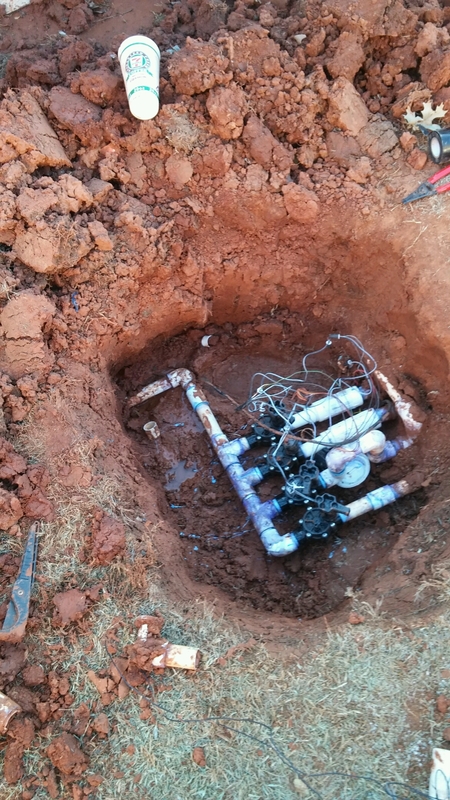 We can handle everything from broken sprinkler heads to leaking valves to shorted out controllers. With Spring just around the corner, now is a good time to address drainage problems before the big spring thunder storms hit. If you have water standing on your driveway after a storm, or if your sidewalk truns into a moat during a heavy rain, or your back yard looks like a pond, CMG Sprinklers and Drains can help. 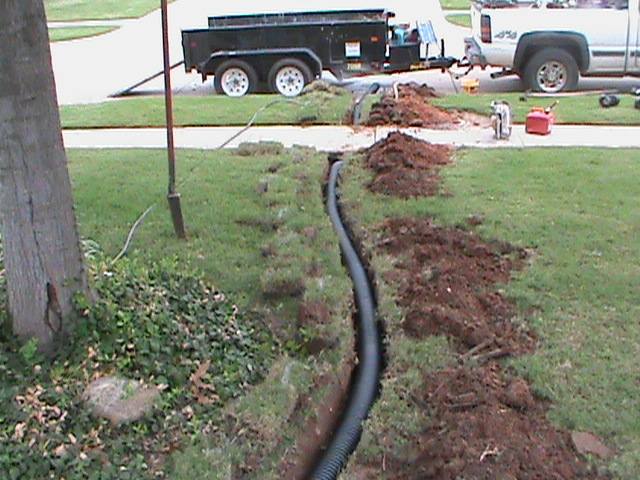 We can quickly diagnose your drainage problems and design a drainage system to fit your specific needs. CMG utilizes and installs: French Drains, Surface Drains, Channel Drains, Basin Drains, Trench Drains, Basement Drains, and Sump Pumps. 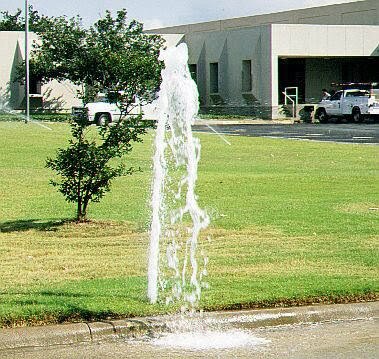 CMG Sprinklers and Drains provides free estimates for central Oklahoma including: Oklahoma City, Moore,Edmond, Norman, Midwest City, Del City, Yukon, Mustang, Purcell, Blanchard, and New Castle.